December is one of our busiest months at the Edmonton Convention Centre. We serve over 25,000 guests and host between 60 to 70 diverse holiday parties. We cook, bake, prepare, pour, serve, clean and decorate every single day during the holiday season. Our building is bustling with people and is full of holiday spirit. Each holiday season, we get several requests from guests for specific recipes. Our Executive Chef, Simon Smotkowicz, is fairly protective of his creations and usually keeps them hidden away. After 30 years, and dozens of requests, he’s decided to open the vault and share – for the FIRST TIME EVER – his famous Cranberry Sauce recipe. 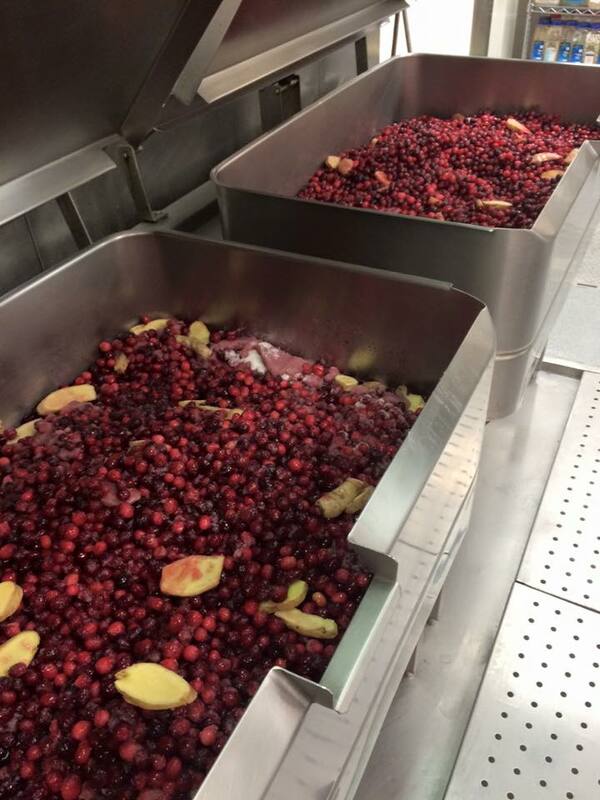 When our kitchen makes cranberry sauce, we make 100 KG of it. What good is a holiday meal if it isn’t smothered in cranberry sauce? For this recipe, Chef Smotkowicz has cut back the ingredients from serving 900 to serving a party of 8. We hope you enjoy it, share it with friends and family (it makes a great hostess gift in a mason jar with a ribbon!) and savor the moments of the season. Taste and if too tart add more sugar. Remove cinnamon stick & serve!